Pumpkin butter has been my go-to the past week … post run breakfast sandwich with almond butter and pears (as seen here), stirred into oatmeal with some pecans, mixed into coconut yogurt with chia seeds, or shmeared along with jelly or sliced apples for the kids school lunches. By Friday, I realized I’ve made this six times since last year and haven’t shared it with you yet. This is one of those recipes where the prep time is quick, but it needs a good amount of oven love; something for a weekend afternoon while hanging around the house: make pumpkin butter and have heavenly pumpkin spice linger in the air. When your batch finally cools off you will want to spread it on your favorite bread, sit down and just look out the window as you take in the taste of creamy butter, and its warm spices. You need this pumpkin goodness in your life. It’s never enough between the six of us, and since it stores in the fridge for weeks I make plenty, but this can easily be halved and very adaptable. Hmm, now I’m thinking another good use of pumpkin butter would be to switch out apple butter for pumpkin in this overnight french toast … maybe butternut squash chunks or chunks of pear instead of apple … ok, I need to make another batch (note to self). I have become sort of a pumpkin keeper(! )–roasting as many as I can and freezing 2-cup portions (for pancakes, pies, cookies, etc) to keep my our pumpkin love in full force through the winter being that it’s so healthy, full of nutrition and good eats, but don’t worry, I won’t bombard you with pumpkin in January. Promise. So I came across this recipe last year from Food52, a recipe by Paul Virant; they slightly adapted it from his book The Preservation Kitchen. I slightly adapted it using coconut oil and less sugar. It’s simple homemade pumpkin butter without any fuss that happens to also makes a lovely gift. It stores in the fridge for weeks and is freezer friendly. On canning: Paul Virant says, “because it’s low in acidity, it’s not safe for water-bath canning.” <–Just in case you were curious. Psst. You know what the best is? It’s foolproof and no one has to know. 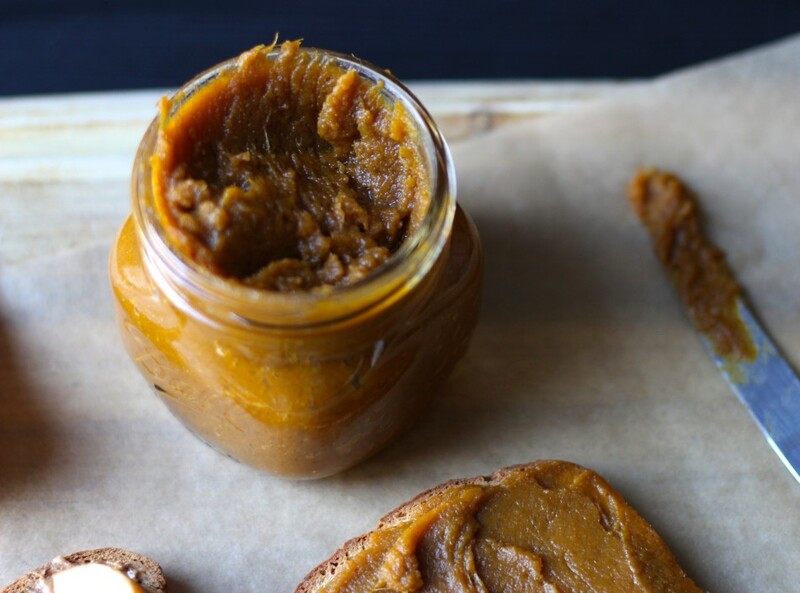 An easy, foolproof recipe for homemade pumpkin butter that is better than store-bought! Can easily be halved, or doubled, if needed, and makes a wonderful holiday food gift! Preheat the oven to 400 degrees F. Place halved pumpkins, cut side down, on a parchment lined baking sheet and roast for 55 minutes, or until the pumpkin is tender and easily can be pushed down. (Time will vary depending on squash variety and size.) When cool enough to the touch, scrape out the pulp into a bowl and discard the skin. I adapted it slightly by using less sugar. It tastes less sweet than jarred varieties, if you like it sweeter see my notes below. Preheat the oven to 350°F. In a large bowl, mix together the roasted pumpkin, coconut sugar, coconut oil, salt, cinnamon, nutmeg, ginger, and cloves. I use an immersion blender for a more creamy, spreadable consistency. Transfer to a 9 X 13-inch baking pan and bake, stirring every 30 minutes or so with a spatula, for 90 minutes. Pumpkin butter should be a darker hue, thick and slightly caramelized. Stir again after taking it out of the oven; it should be smooth and spreadable. Cool then transfer into glass jars or tupperware and refrigerate until ready to use. To freeze: transfer into freezer friendly containers. 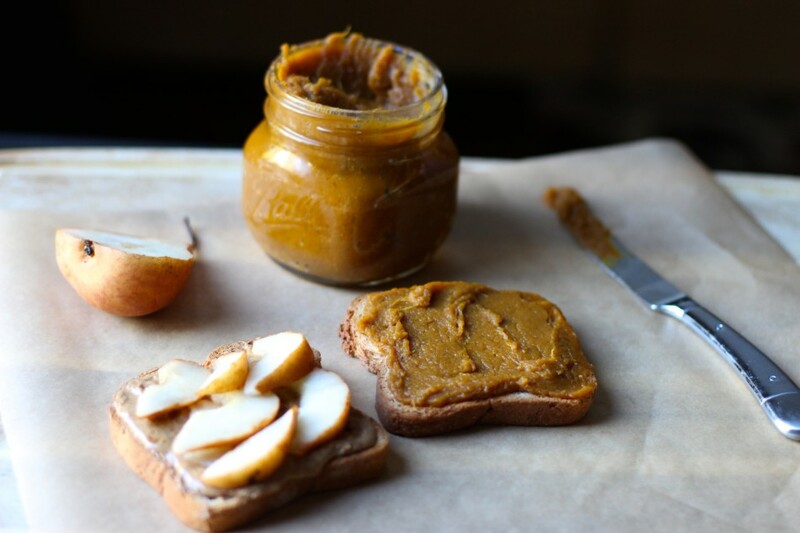 Notes: For a sweeter pumpkin butter: Add ½ cup lightly packed coconut sugar. Before doing so I suggest tasting it because I would hate for it to be too sweet and not enjoy it. 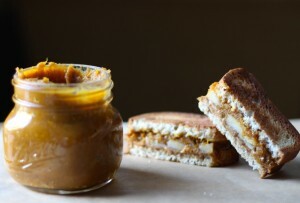 Add more sugar while pumpkin butter is hot to fully incorporate. The coconut oil does not impart any coconut flavor (I use Dr. Bronners raw) due to the spices, but if you really dislike coconut, use non-dairy buttery spread (Earth Balance soy free spread). I have made it using both, and either way yields delicious results. 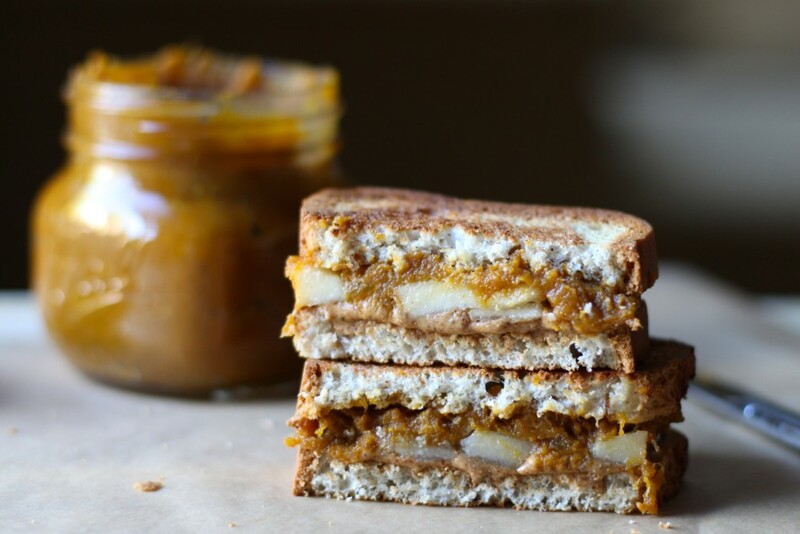 I love pumpkin butter but not when it's thin and this looks perfect. I had a question: do I not use all the roasted pumpkin for the actual pumpkin butter recipe? Sorry I'm not clear on the recipe and I want to make this today. Thanks Jessica!! Sorry for the late reply; you will have some left over if your pumpkins are larger than a total of 5 pounds. It would be best to weigh it but if you don't have a scale I would guess 1 1/2 cups equals 1 pound but I'm not completely sure. This recipe is pretty versatile, so if you do use more pumpkin than needed just adjust seasonings per taste. Hope that helps. Enjoy! You had me at "with almond butter and pears"! Now I need to get roasting :) Beautiful fall looking photos! This sounds amazing! Making this my project next week! Do you think it would good as a pumpkin pie-ish parfait. I'm terrible at pie! Ooh that sounds good. It kind of tastes like pie filling ... so yeah, I sure would! Great idea Renee! I've never had pumpkin butter so I'm looking forward to a new experience. It looks pretty easy to make. While I'm baking the pumpkin, can I bake the seeds? I love pumpkin seeds. Me too! Oh yes, I'm a big fan of freezing and pumpkin keeps well in the freezer for months (in freezer safe containers). Enjoy! This is my kind of spread :) Can't wait to try this. YUM. Yes, then store in the fridge. I wouldn't let it stay in the fridge longer than a day or too since it's not seasoned and can begin to spoil. Hope you love it as much as we do...enjoy! I'll bet I could eat that whole jar in no time! My god did this turn out delicious!!! I also made the pear, almond butter sandwich with it and I'm obsessed. Thanks for an awesome recipe!! Yay, happy to hear you love it! That sandwich is the best post-workout breakfast! If I could I would kiss you right now because not only was this so easy but seriously a luxury!! 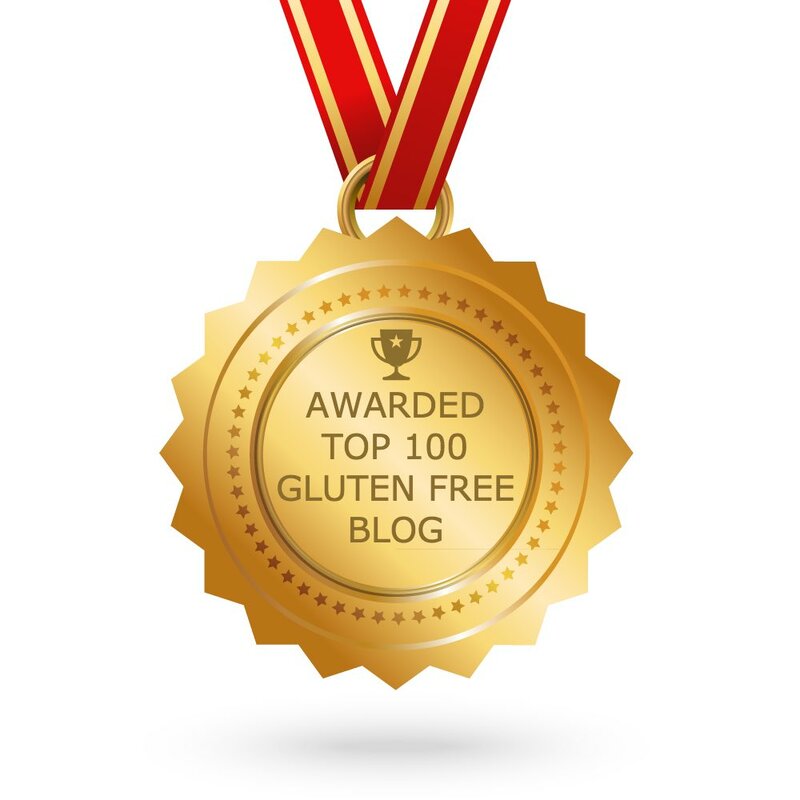 Will be using it for baked french toast this weekend. Happy Thanksgiving! Haha, I'll take a cyber kiss ;) Happy to hear you loved it, yay! Sounds yummy, enjoy and Happy Thanksgiving to you too Jane!! I am SO with you haha ...give me pumpkin anytime!! Just finished making the pumpkin butter and finally got it cool enough to taste and it doesn't taste like anything from a jar! I'm so happy I didn't settle for the jar stuff! Making your pumpkin butter waffles next weekend, good thing this makes a lot! I saw this recipe floating the internet but being dairy free I didn't bother. Thanks for testing it out. Made it today and spread it generously on my toast with sliced apple and my goodness was it scrumptious. It almost tasted like caramelized pumpkin and love all the spice. Looking forward to trying your bbq bolognese pasta next and those pumpkin butter waffles when my children come home from college next week. I am so happy to hear you gave it a try Emily because there's nothing better than trying out a recipe that is enjoyed! ...Two great choices to try with many steps that can be made ahead...enjoy and enjoy your children being home from college!! I used canned pumpkin and the results are spledid. It's silky smooth with the perfect amout of pumpkin spice. I'm making bite size toast with pumpkin butter and sliced pear as one of my apps for New Year's Eve...thanks for an awesome recipe and inspiration!! That sounds delish! Enjoy and Happy New year's Elizabeth!! I just made your pumpkin butter. How do you spell self control. How many cans of pumpkin do I need instead of roasting fresh pumpkin? I really don't want to roast pumpkin and was hoping I can use canned pumpkin instead. Thanks! 3 (15 ounce) cans should do the trick. Enjoy! My pumpkin butter came out insanely delicious. I didn't roast fresh pumpkin, instead I used three cans of pumpkin purée and found that I only needed 60 minutes in the oven and it was perfect!